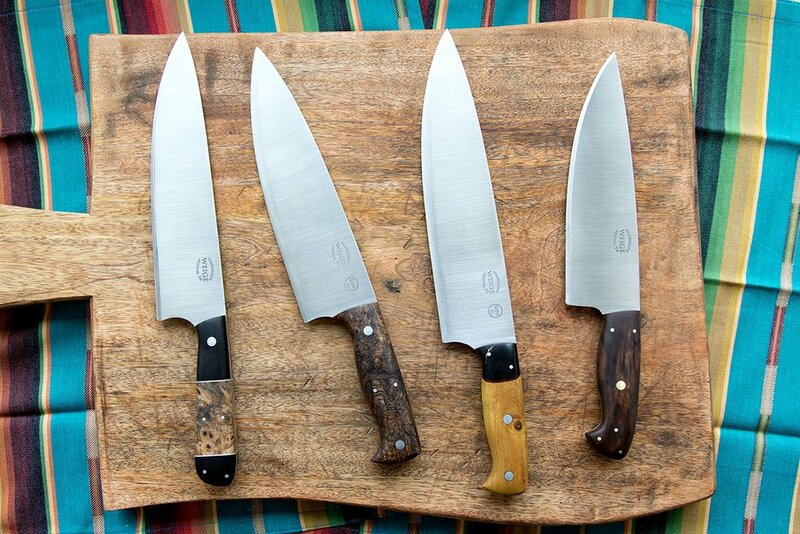 Home/Finished knives./New prototype Santoku finished. 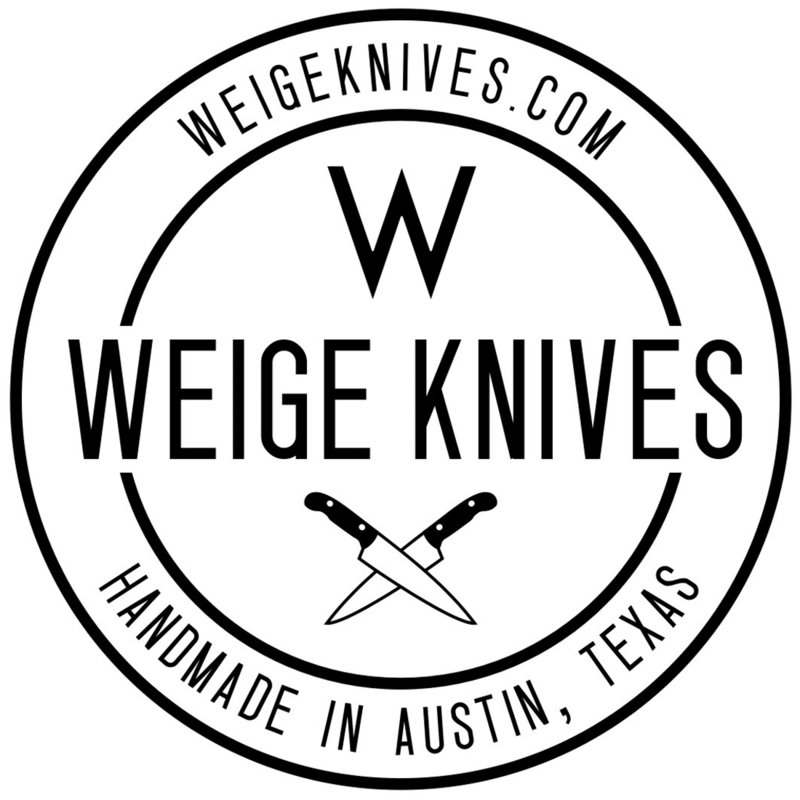 Coming up with new custom chef knife designs is fun and important. We get ideas in the shop, build them and then see how they perform. 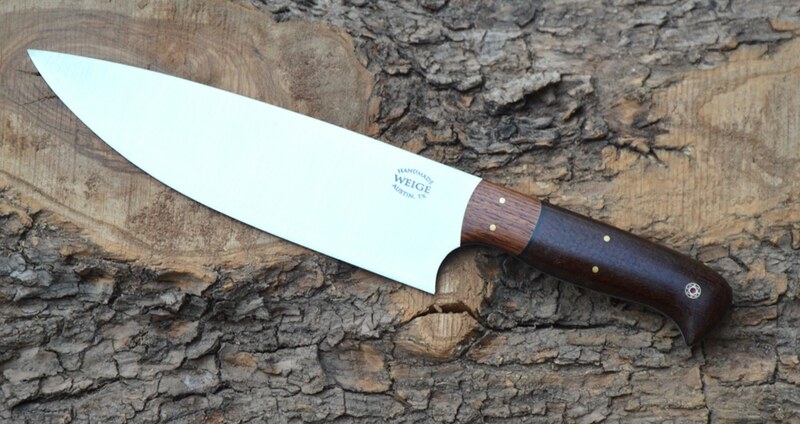 We finished the first round of a prototype Santoku in 440c stainless. 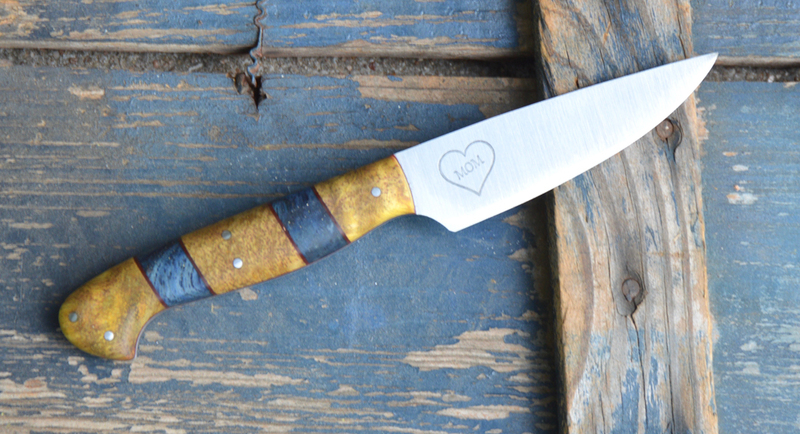 It has a stabilized walnut burl handle w/ blue and yellow kirinite dovetailed bolsters and a yellow liner. Hollow stainless pins. Super light and sharp. 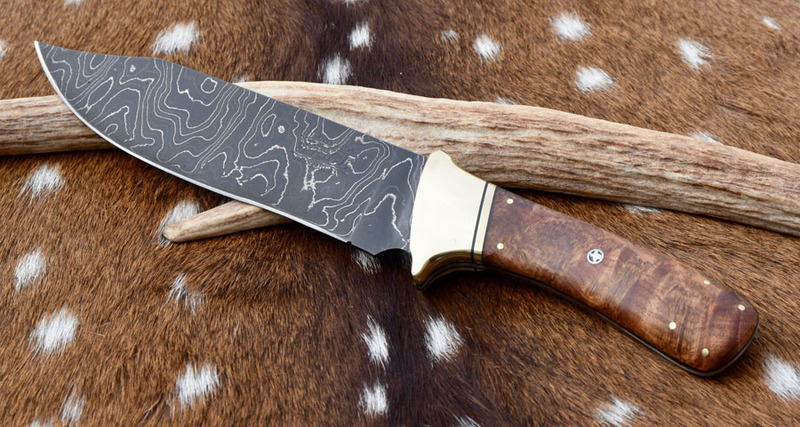 This is a very fast knife and should work well on a line.